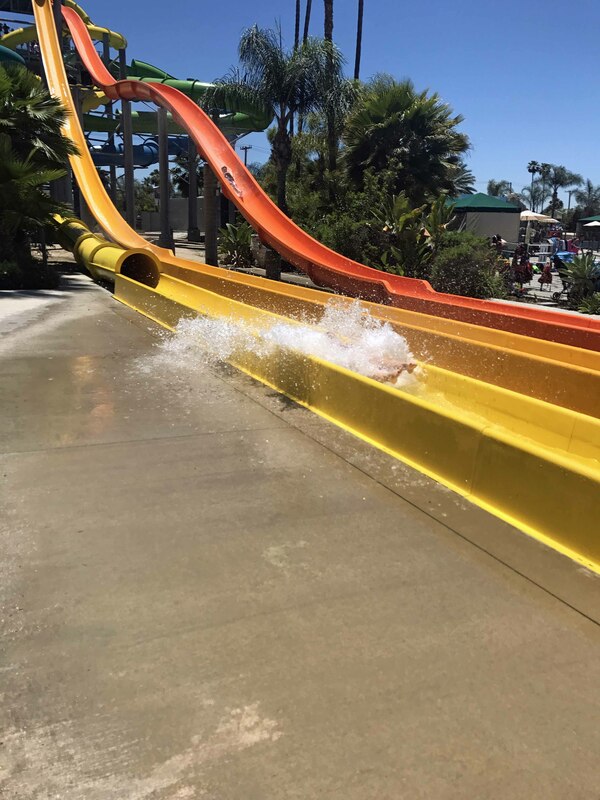 We never pass up a chance to swim, so when Knott’s Soak City Waterpark invited us out for the day we jumped at it! 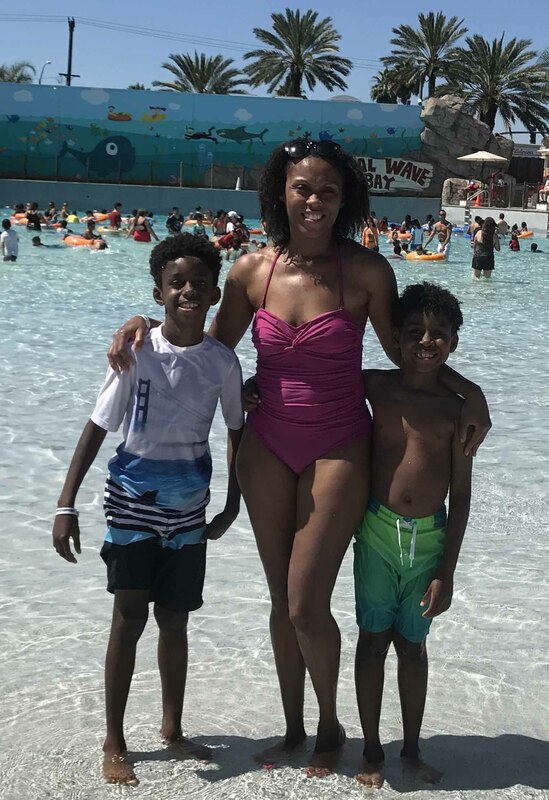 Soak City kicked off the summer season with a grand ole splash in perfect 90 degree weather! They debuted two brand new water slide towers, Shore Break and The Wedge. Plus, Soak City has undergone a 2-acre expansion and thematic renovation, which includes new shaded seating areas, spacious cabanas and a newly remodeled Longboard’s Grill. Shore Breaktowers over seven stories high and offers six different thrilling water slide experiences. *Get there early! You get ahead of the peak of the heat and the wait times will be drastically reduced. *Bring the basics! Lots of sunscreen! and something I recently learned that needs protection are your lips! There are lip balms with SPF in the. Flip flops or water shoes. The cement gets hot while your traveling between the different attractions. *Life Jackets. There are plenty of free ones provided, but if your little one has a favorite they are welcome to bring it along. Lifeguards are everywhere! *Plan to eat there. The only food item we were allowed to bring in was a single bottle of water per person. Don’t even attempt to bring food, they have rules and enforce them. My attitude was to fully enjoy myself and eat food that someone else had prepared! Discounts are available if you have season passes. 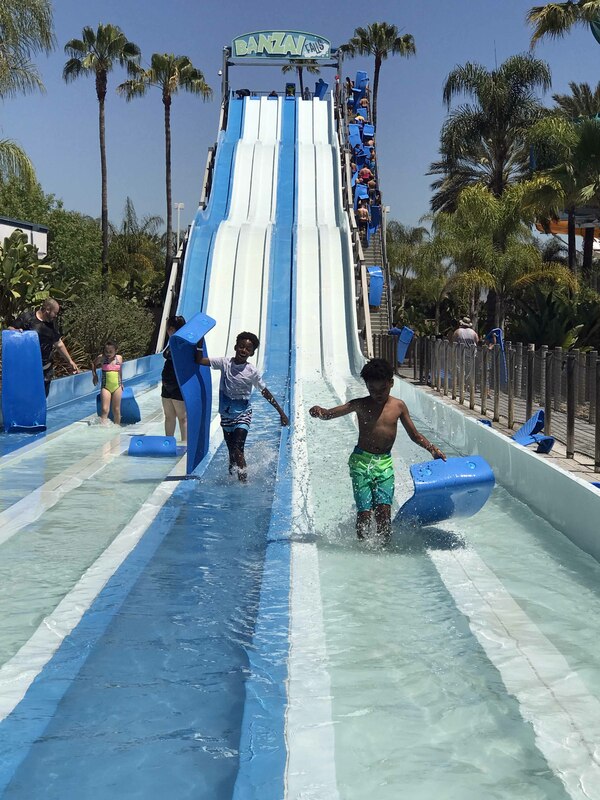 ​The newest family raft ride, The Wedge, takes up to 6 riders on a thrilling and exhilarating trip navigating twists and turns and a few surprise drops down the slide tower. My boys were pointing and saying that they wanted to ride. It reminded me of how brave kids can be and just how conservative I’ve become with time. Being the good sport that I am, I jumped on board and am so glad we took the ride down those winding tubes! It was awesome to share the experience with them and the other family that joined us. We would drift away from Tidal Wave Bay but would find ourselves back after every ride. The waves are totally addictive! If you didn’t know that’s 750,000 gallons of water behind us. Lot’s for everybody!! We rode the waves on and off the tubes. You will also be surrounded by picturesque scenery. 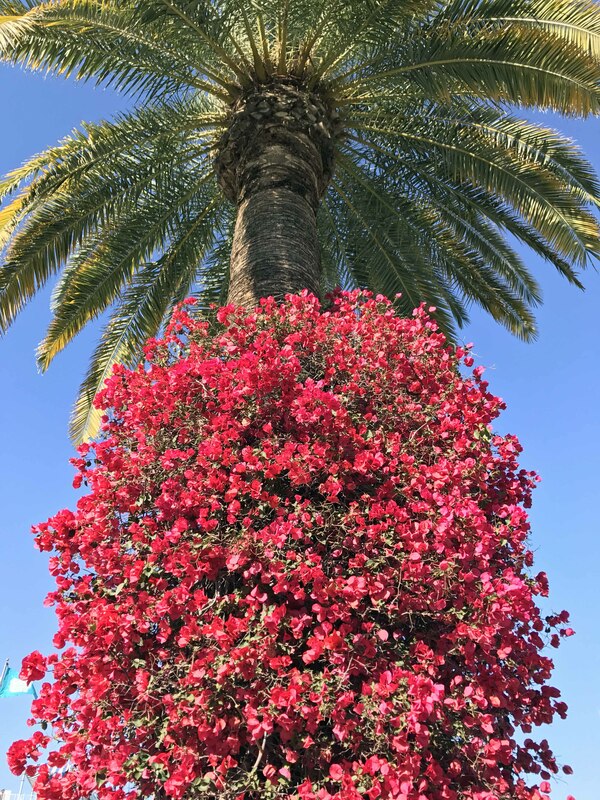 Knott’s did a great job incorporating the beauty of SoCal into the water park. 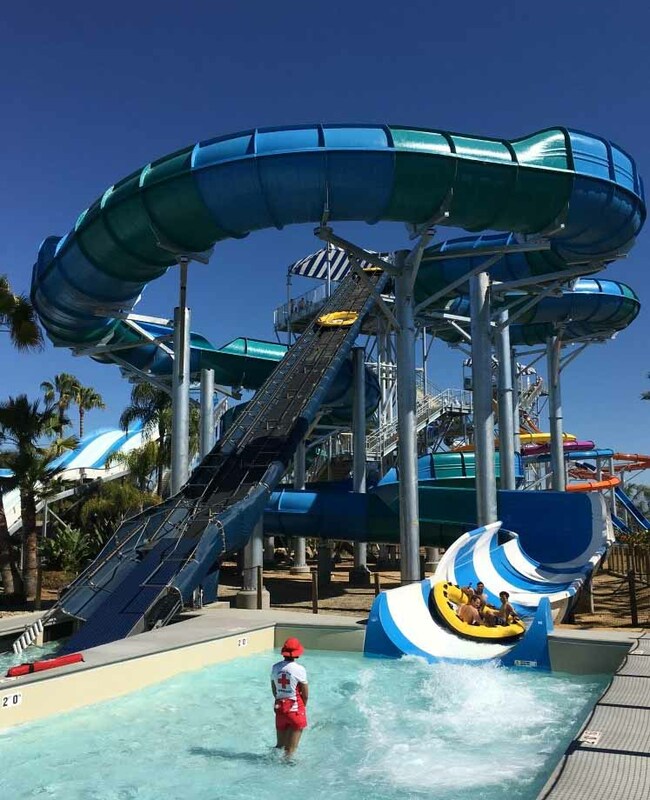 There are four slides that will have all you daredevils climbing into an exhilarating Aqua Launch chamber which will send riders on a vertical free fall through a series loops and curves. The video above is a pretty good indicator of the experience. Below shows the finish line for the brave at heart. Pick any color! The ride is the same: AMAZING!! Lifeguards are always attentive and accessible. My guys rode this ride four times in a row! I didn’t want to interrupt the fun, so I let them. They told me every time was different because they watched other people and figured out how to go really fast. You have to lean forward to pick up speed. I saw toddlers and parents having a blast on here. You can see the line in the background. This was one of the biggest benefits of early arrival, shorter wait times! Old Man Falls fulfills that need for speed! You’ll lie on your back and slide down 63 feet of FUN! The three colors are safe for kids 48″ and above. The difference is the steepness of the drop. All thee vary….it’s up to you to choose. Longboard’s Grill was definitely the food hot spot. Directly out front is plenty of covered seating for everyone to take a break in the shade and nosh on all the good eats from Longboard’s Grill. We were able to choose from Grilled Chicken sandwiches, hamburgers, hot dogs, chicken tenders and fish fillets. Fresh french fries came with each order and there are kid’s meals available too. Chicken tenders were so popular on this day. The server could barely keep up with the demand. The lines got long but the staff at Longbaord’s were all polite and in sync and moved guest along quickly. At the register you could opt for fountain soda drink or bottled water, powerade, and the much needed Starbuck’s parent drink, coffee/expresso. The fruit was fresh and the chewy chocolate chip cookies were yummy! Spend the entire day at Knott’s Soak City, no worries about down time when you rent a private cabana. Each cabana can accommodate up to 8 guest and include an umbrella, free tube rental and waiter service that come to you. Daily rental runs about $220, an ok deal especially if you split the cost with another family. If need a little time to unwind the Sunset river will give you 1,780 (ft) reasons to do so. Adding eight feet in width makes it the longest water park lazy rivers in the world! Waters are only 2’6″ deep so most will be completely safe. We walked and used floating tubes. It was really calming, maybe to calming because my guys darted off for another slide as soon as we got to the end of the lazy river. Note: Life jackets are required for children under 48″ tall. We’ve included a map of Knott’s Soak City to give you an idea of the layout. Personally I thought the park was just the right size. It’s nicely organized and not so oversized that it’s overwhelming. Disclaimer: We were invited to review Knott’s Soak City and given complimentary admission. All opinions are honest and my own.